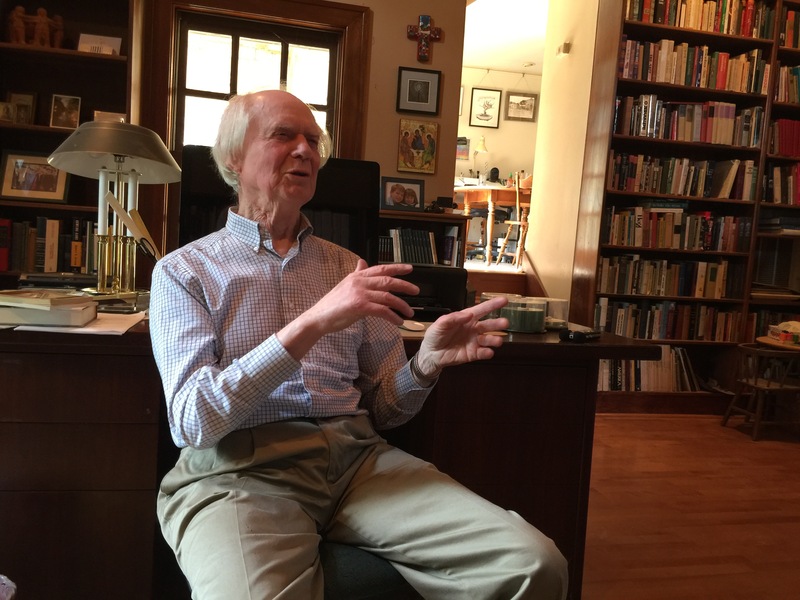 The Only Love Project’s Bill Murphy and his wife Beth spent an extraordinary two-and-a-half hours on May 5th, 2016, with Dr. E. Glenn Hinson, author, scholar, teacher, and former friend of Thomas Merton, the world-renowned Catholic monk and contemplative. 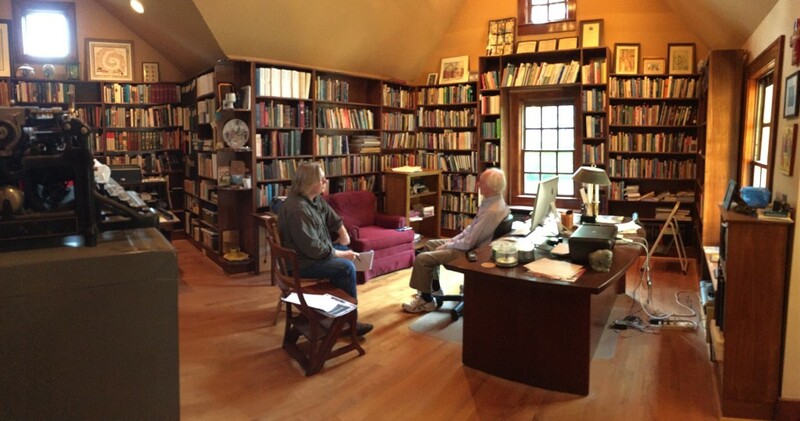 After introductions and a trading of hellos from mutual friends, we settled down in Glenn’s enviable home library for a conversation that ranged far and wide – and was never less than fascinating. What follows is what transpired. 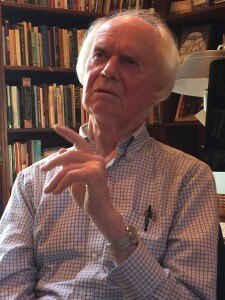 NOTE: Because of the length of this interview, we are publishing Part One today. In a couple of weeks, we will publish Part Two. BM: I appreciate your time today. We can start with the questions I ask for the Only Love Project web site: Please briefly tell us your background. What would you like others to know about you? GH: Well, I think of my life as a miracle of grace, which is the title of my autobiography. I was born into a family of conflict. My father was an alcoholic, and my earliest memories of anything are of my mother and father fighting verbally and physically. In 1937 we moved to a farm in Sullivan, Missouri, and shortly after my father left, and I grew up in poverty in the Missouri Ozarks. It was one of those areas, which – during the Depression – people made $50 a year, especially farmers. Of course, they could survive on $50. They could grow a garden and do things that kept them going, but what has happened in my life has just been miraculous in a way. When I finished high school, I went to Washington University in St. Louis, and then during that period I experienced a calling to ministry of some kind; not very clear what kind that would be. As it turned out I have been an academic my whole life, my whole public career, but I came to Southern Seminary. 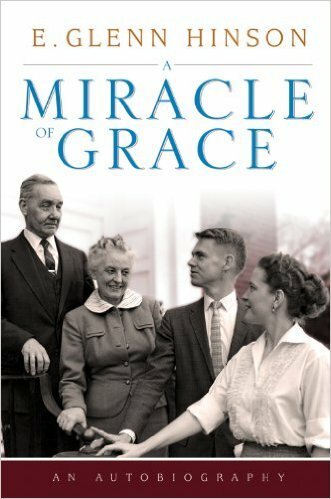 My mother remarried, and my step-father was stationed in the Coast Guard here in Louisville, and we lived here for one year and then moved back to the farm in Missouri, and it was a natural choice for me to come to Southern Baptist Seminary which at that time was a very prestigious school. Today it has fallen far from what it was at that time. It was one of the leading theological institutions in the United States. As it turned out, I decided to pursue graduate studies in New Testament, and I taught New Testament for one year, and then I was asked to switch to church history mainly because of my language facility. I could read the languages required for teaching church history. The first year I taught church history, I did this foolish thing. I took the class to the Abbey of Gethsemani in 1960. I didn’t take them to meet Thomas Merton. I took them to expose them to the Middle Ages. And they were exposed to the Middle Ages. But Merton was our host, and he talked to us about the monastic life and then asked if we had questions. One student asked what I feared one would ask. “What is a smart fellow like you doing throwing his life away in a place like this?” Well, I waited for Tom to open up his mouth and eat that guy alive. He didn’t. He just grinned a little and said, “I am here because I believe in prayer. That is my vocation.” You could have knocked me over with a feather. I had never met anyone who believed in prayer enough to think of it as a vocation.